The Boffin editors announced today their top free PDF software. The list includes trusted PDF software as well as unexpected newcomers. The need for reading on the fly PDF files is increasing as its popularity gains more and more ground. 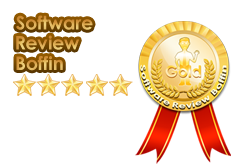 Boffin software reviewers revealed their latest lineup of open source PDF software. After careful assessment of various PDF conversion software, the reviewers compiled their final list of the most efficient and reliable PDF software available in the market now. The list includes Nitro PDF, PDF 24 PDF and CutePDF software among other. The need for reading on the fly PDF files is increasing as its popularity gains more and more ground. Facilitating electronic sharing of documents, PDF files are particularly popular with companies and young individuals who wish to efficiently share files on their tablets, smartphones and other hi-tech devices. The Boffin editors’ list of open source PDF software seeks to provide an overview of the best such software for users wishing to have a reliable software to work with. One of Boffin’s recommended PDF software is Nitro PDF, the first ever PDF reader provided at no-cost. Reliable, easy to use and efficient, Nitro PDF helps users access their PDF files from any Windows OS devices. Using Windows OS printing features, CutePDF helps users convert their documents to a PDF format with a few clicks. The software boasts of user-friendliness and record-high conversion success, making it an appealing choice for users, Boffin supports. On the other hand, PDFForge is capable of creating or converting PDF files from virtually any printing application. This substantially facilitates the sharing and conversion process for millions of users who seek to easily convert or create PDF files. PDF 24 PDF is another solution recommended by the Boffin team of reviewers. The software allows users to protect their PDF files with passwords as well as have access to a wide range of other tools and customization features, rendering the software truly intuitive. The Boffin editors also included doPDF in their latest lineup of PDF software. doPDF helps users create PDF files without using GhostScripts, something the Boffin reviewers emphasized, makes the creation process distinctly easy. Other PDF freeware included in Boffin’s list are Nuance PDF Reader which allows for video viewing within PDF files and PDF Lite, which effortlessly converts and creates PDF files. The Boffin reviewers along with the PDF list also issued a disclosure pointing out the list is subject to change since the software are regularly reassessed to ensure the reviews’ accuracy and relevancy.